Through our programs we visit a large number of nursing homes, retirement communities, rehabilitation facilities, and libraries in the western suburbs of Chicago. 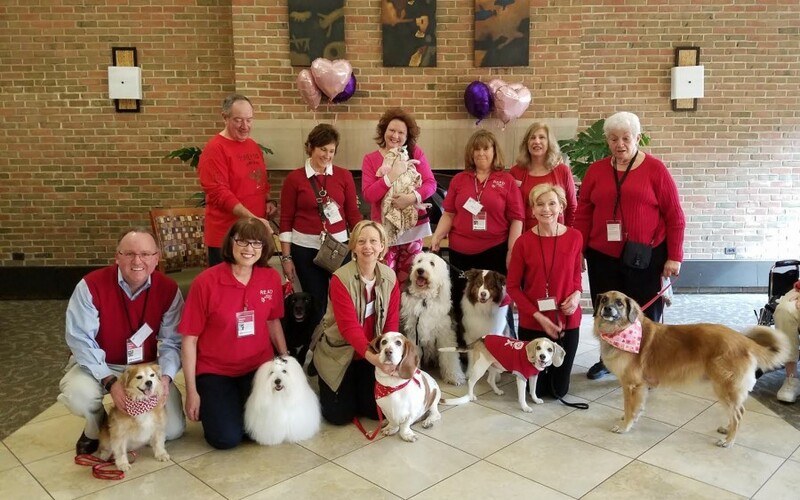 Through our READ , program, the Hinsdale Humane Society’s Delta/Pet Partner registered Pet Therapy teams volunteer at libraries, schools, and many other settings as reading companions for children. The Hinsdale Humane Society Pet Therapy Teams also include a group of Delta/Pet Partner registered teams that work specifically in Canine Assisted Rehabilitation. These teams work with therapists to deliver structured therapy sessions with young children treated as out-patients. And with additional training, CARe teams may chose to work with AMITA St. Thomas Hospice by working with patients or interacting with bereavement groups. Our Pet Therapy Teams our often requested for special sessions at a variety of venues for visits or planned activities. Private sessions hosted at the PRRC, operated by Hinsdale Humane Society, upon request.